I'm divorced, with a son (24), and twin daughters (22). I'm a self-employed internet marketer. About 15 to 25 hours per week, depending on the sporting events available. I'm not a gambler. 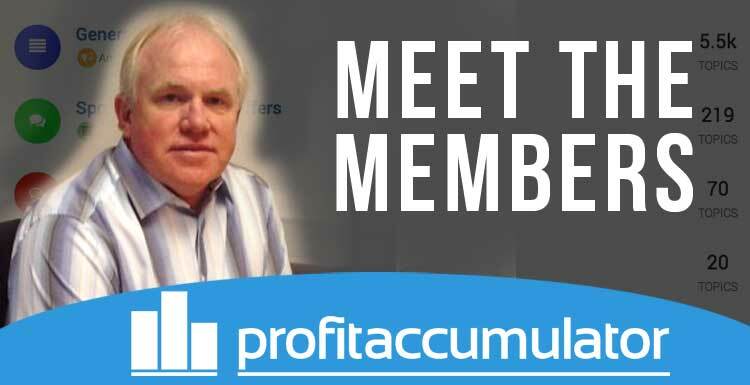 Profit Accumulator guarantees me regular income, tax-free. I spend it on family and personal luxuries. I've paid for my daughter's wedding and invested in my online businesses. What would your advice be to people thinking of starting matched betting? Follow exactly what you are told, don't deviate, and you can't lose. My ignorance of betting has helped me earn. The forum is so friendly, you can ask 'dumb' questions and get seriously good replies.